Having a proper sire protection system in your commercial building is essential for everyone’s safety. We all know that it just takes a tiny little spark to cause a massive fire to ignite. All of this could put your employees at a significant risk. Fortunately, having a well designed commercial fire alarm system can help to protect your business and staff from suffering from any damage or injuries as a result of a fire. Having a way to warn occupants of a potential fire is always the best way to prevent injuries from happening. As business owners, it is essential that all occupants of the business are notified of the potential fire hazard. Fire alarms do just that. Fire alarm systems serve as the best line of defense to caution occupants that there is a fire somewhere in the building and everyone should evacuate. 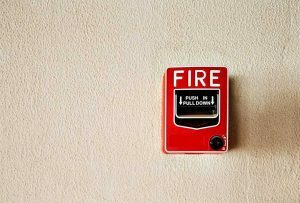 Here are some helpful factors that need to be considered so that you can choose the right fire alarm system for your business. Has A Comprehensive Risk Assessment Been Conducted? A risk assessment can quickly detect the specific risks and potential fire hazards associated with your business. In fact, the risk assessment is an excellent tool that can ascertain what type of fire is most probable to occur in your company. A comprehensive risk assessment can help provide you with some much-needed information that can be used to tailor a fire alarm system for your business. With the help of a fire safety professional, you can make sure that your business is equipped with a customized fire alarm system that will notify all occupants of the potential of any fire when it happens. One of the very first questions a business owner needs to ask before selecting a fire alarm system is who needs the protection. Are you concerned about papers? People? Both? While you will most likely need a fire alarm system that protects both people and assets, it is essential to understand what needs protection when you select the right fire alarm system for your business. As a result, more densely populated areas will require more smoke alarms. Also, areas that don’t see a lot of foot traffic like a warehouse will need an audible smoke alarm to protect everyone efficiently. This entry was posted on Friday, November 17th, 2017 at 12:24 pm. Both comments and pings are currently closed.